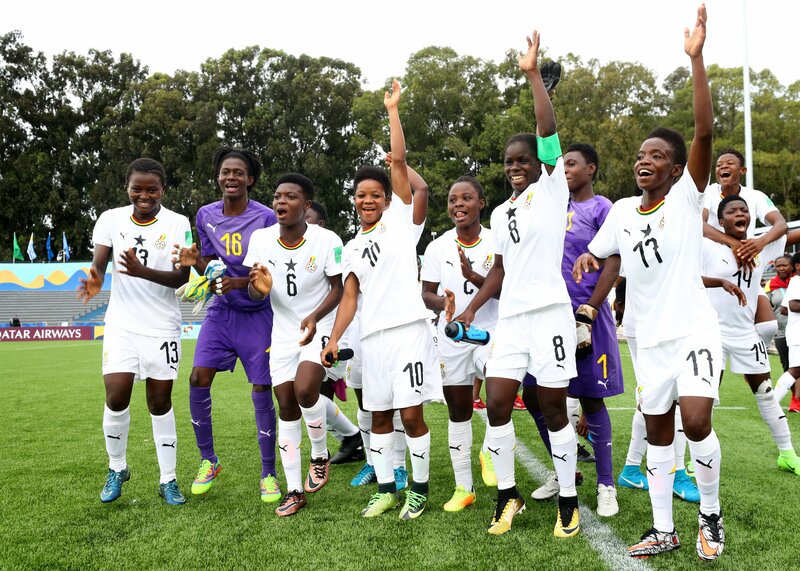 The Black Maidens of Ghana have reached the quarter-finals at the ongoing FIFA U-17 Women’s World Cup in Uruguay. The Maidens turned in another strong performance to defeat Finland by 3 goals to 1 in Montevideo. Milot Pokua, Abdulai Mukarama and Grace Animah were on the scoresheet as Ghana recorded a second straight victory at the Mundial. Pokua, who started in place of the injured Fuseina Mumuni, pounced on some early confusion in the Finnish defence to give Ghana an early lead in the match. The advantage was doubled a few minutes later by the game’s star performer and Ghana captain Abdulai Mukarama, who deftly headed in a Mavis Owusu cross. Finland returned from the break a much improved side, and deservedly pulled a goal back through substitute Anna Kantanen. Grace Animah though had the last laugh on the day, as her expertly taken freekick sealed victory for Coach Evans Adotey’s side. The Black Maidens will next face New Zealand, with both teams already through to the knock-out phase of the competition. The PFAG continues to encourage our Maidens to keep soaring! The ultimate will surely be ours!! We remain with them and for them!! !